Acclaimed roots R&B/Americana singer/songwriter/piano player Kelley Hunt's fifth release, Gravity Loves You features 12 new songs including works from Hunt's solo pen and collaborations with writers Caryn Mirriam-Goldberg, Dwight Liles and Sarah Hart. Gravity is another studio tour de force for Hunt, who also co-produced, exploring the theme "make your move, take the leap of faith to follow the life path that is true to you". 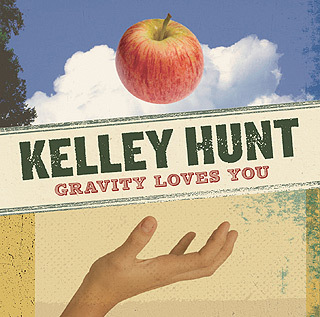 Gravity winds its way through a palette of roots forms and arrangements that conjure old-school funk to Philly Soul to burning boogie-woogie romps to the intense Gospel-influenced ballad style that is a Kelley Hunt trademark. The project is totally analog, not touched by Pro Tools, and showcases the artist's eminent vocal and keyboard studio performance veritas in a rich, warm aural landscape.